Plot: A woman seeks revenge on her husband's divorce lawyer who ruined her reputation but they end up falling in love with each other. Zukor and the executives at Paramount were so pleased with Zaza that they agreed to let Gloria remain in New York and make another film with Allan Dwan. They insisted however that Gloria be gloriously gowned because she had not been in her previous two films. Forrest Halsey (who wrote The Humming Bird) also penned this script which would cast Swanson against two strong and handsome leading men (Cortez and La Rocque). Swanson ended up having an intense affair with La Rocque that almost led to marriage but she eventually ended it due to his jealousy. 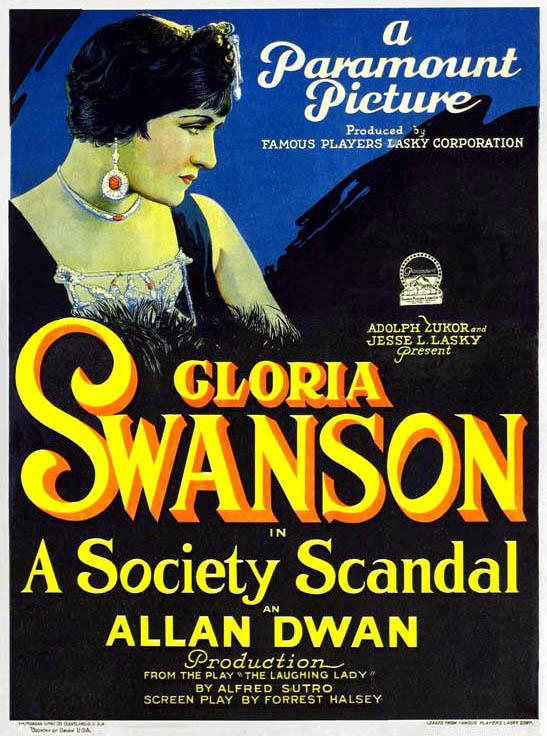 Swanson again received glowing reviews and most critics observed that her acting had improved.